When living in Bangkok I was familiar with most Thai fruits from local markets, but now, living in a farming community in the northeast of Thailand, I am surrounded by a never-ending cycle of sowing, growing, reaping and eating of whatever and everything that is in season. 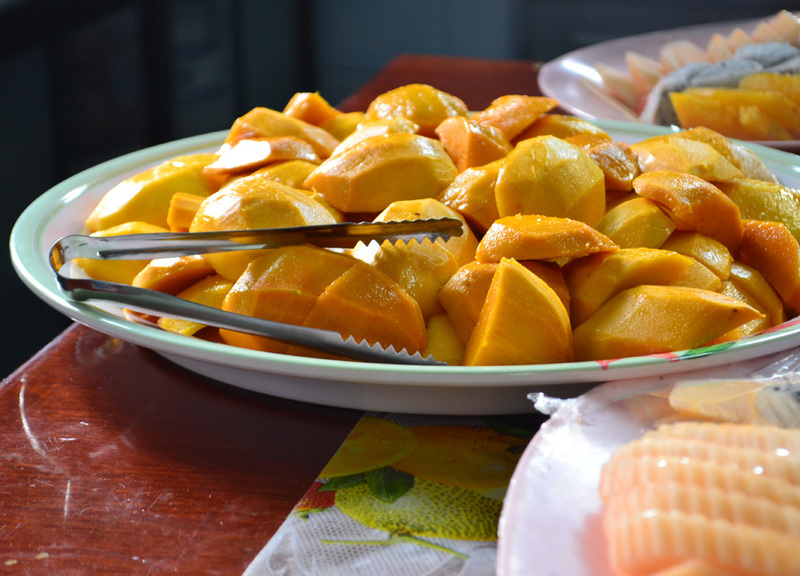 We have mango tree forests here and for weeks I was forced to gorge on big plates of ripe sweet mangoes, and then it was onto whatever’s next in season. But here I find that even familiar fruit is kind of weird, like tiny watermelons spawning from creepers on the ground, or pineapples, which just pop out from the earth like cacti. This list could therefore be long, but I have other things to do, so I will keep it short. 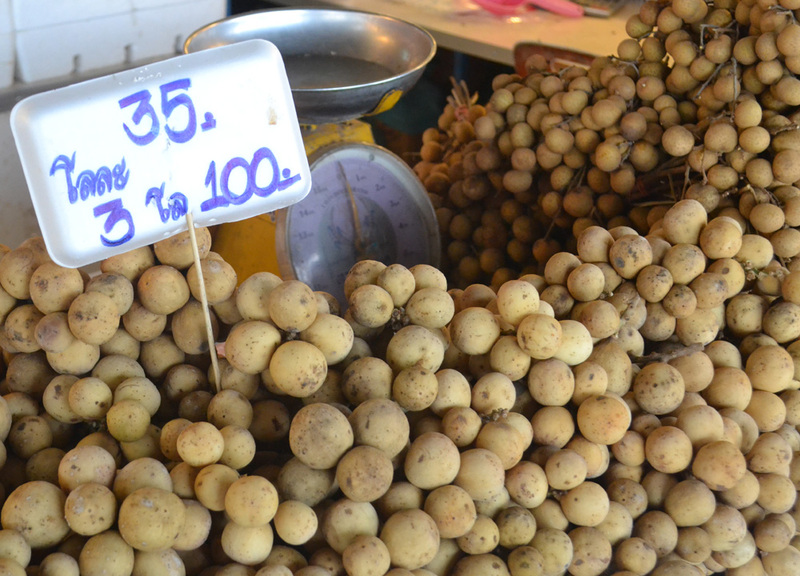 Here are four of the more memorable weird fruits of Thailand. I’ll start with dragon fruit as it’s what spurred this post to begin with. It is now dragon fruit season in northeast Thailand, and, for the past weeks, these weird fruits have been popping out, not only from ‘trees’, but all sorts of weird places like telegraph poles and between garden fences. 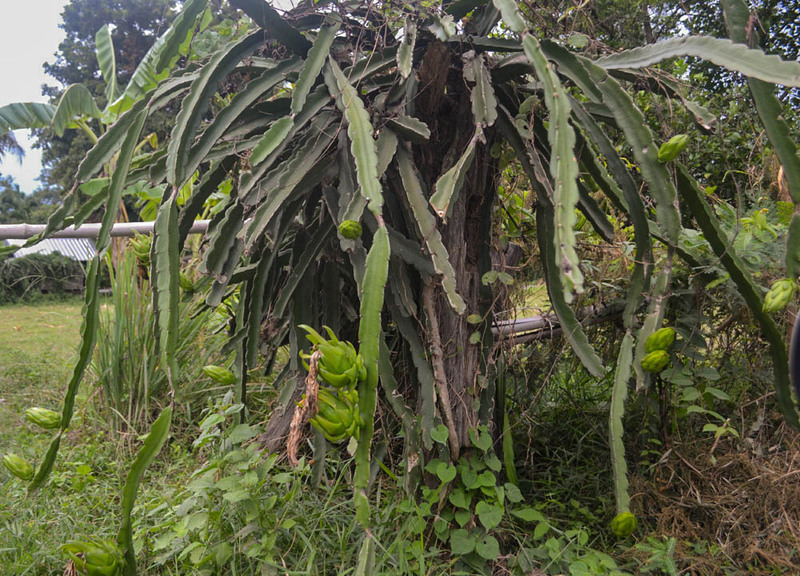 In fact, dragon fruit don’t even grow from trees, but instead sprout from the ends of a jagged cactus-like vine which creeps up pretty much anything. The other day when exploring Phanom Rung we find, high above the ancient Khmer ruins, dragon fruit dangling from snaking vines which ran the entirety of surrounding tree. It just looks bizarre. For this reason they are often used in sci-fi movies to make sets look more out-of-this-world, and of course it works, because they don’t look like they belong to this one. The skin is a firebrick red with jagged green, protruding dragon-like scales on the outside. Inside the flesh is white with speckles of tiny black seeds. I’m not very good at picking out fruit flavours, but it reminds me a bit of a sweet, but light, plum, maybe kiwi, although I’m probably way off. 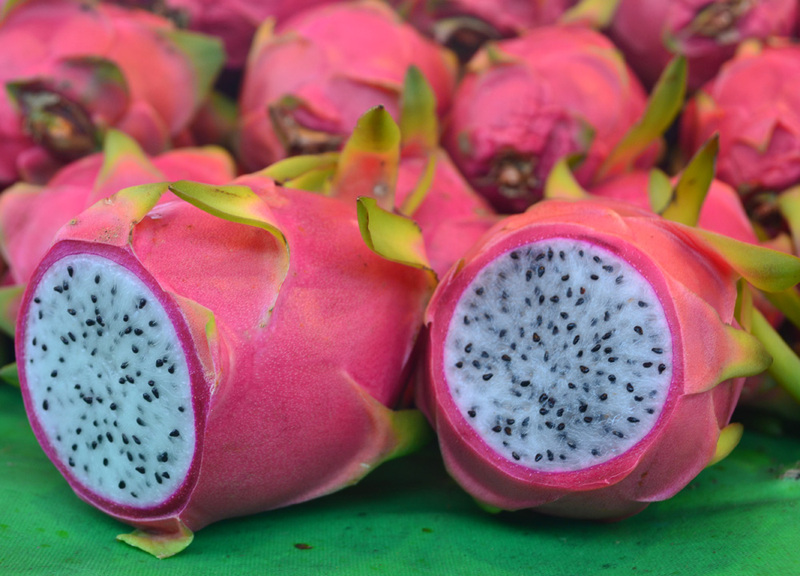 There is also a less common purple dragon fruit, which is almost identical, bar, the inside flesh is purple, not white. The Thai name, Gaew Mangkon, also translates as Dragon Crystal. Often referred to as “the King of Fruit” the durian is probably better known for its alien-esque shell and pungent smell, than its taste (tastes like heaven, smells like hell). The yellow fruit inside has a creamy texture and sweet taste, which works well in a sticky rice dessert, or with champagne, apparently. Durian is a bit of a luxury fruit here, and there’s big trade for it throughout Asia. People really do obsess over it and, during durian season, there’s rarely a conversation without it being mentioned. It is also pronounced Turian here, rather than Durian. So rumor has it, that, if you like the smell of durian, then you will love the taste. It splits the crowd like marmite, but, in saying this, I wasn’t the same. To me the smell wasn’t bad, therefore I was expected to love it. 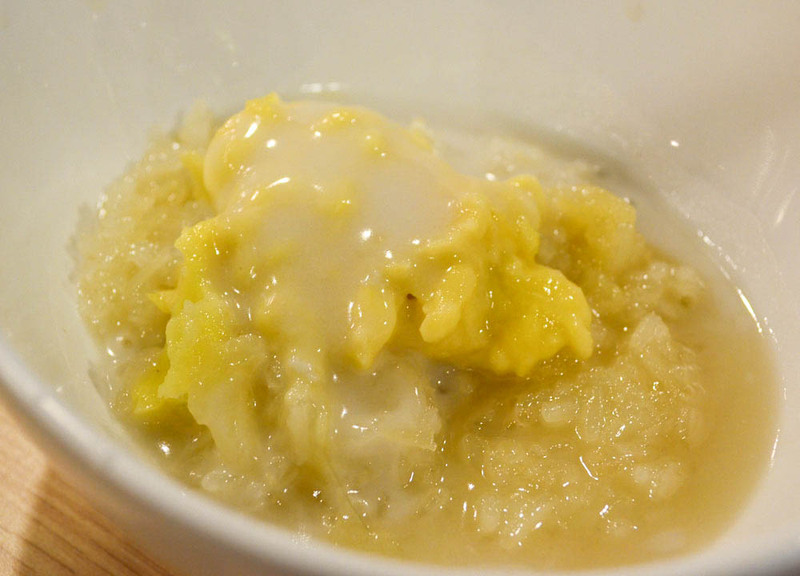 The first time I tasted durian I boked it back up, then had rotten after-burps for the rest of the day. I didn’t like it. This year, durian season came along, and I gave it a second chance. It was delicious. Yes, durian is one of the most heavenly sweet fruits I have ever tasted, albeit a confusing one. 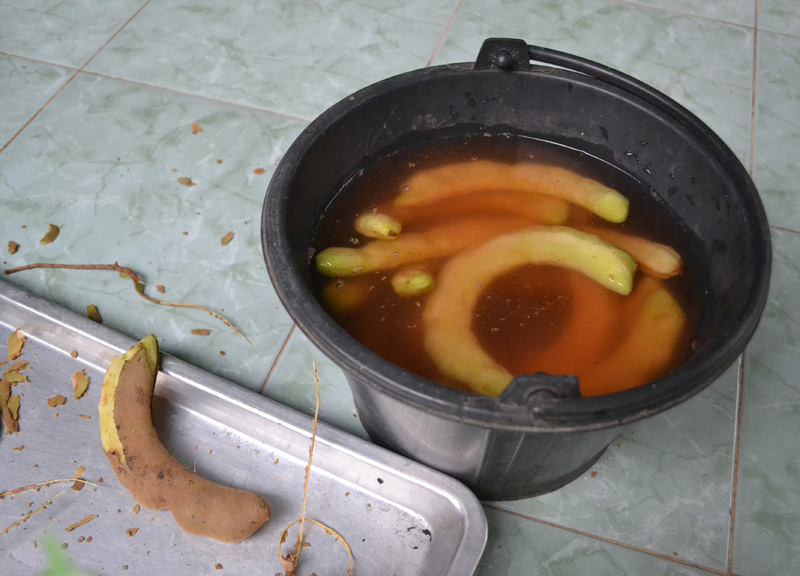 This pod-like fruit would be better known for its use in souring soups and som tams in Thailand. Around the world it maybe better known as a dried spice. In fact, the tamarind is very rarely known, or eaten, as a fruit in itself. But for me it is one of the most exciting fruits around. 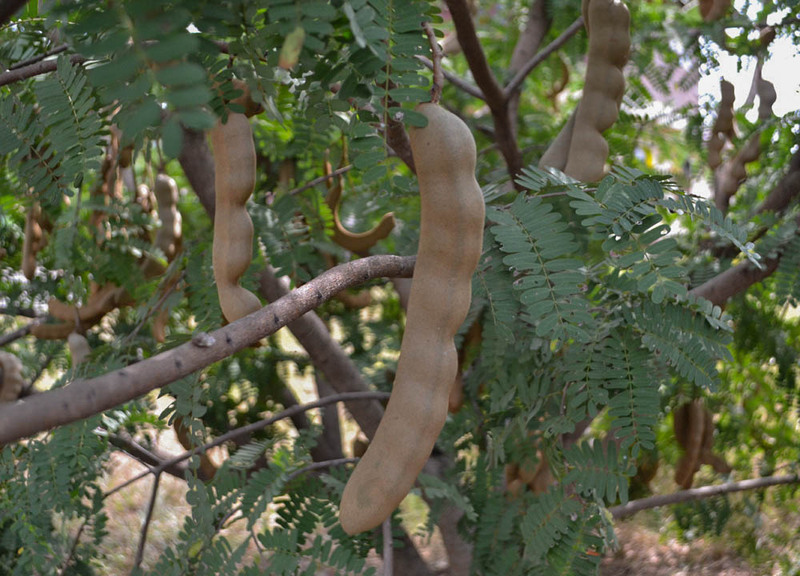 Before it is ripe the tamarind is extremely sour, then when it is ripe, it’s like a delicious sweet candy. When looking at them I never really know the difference , so it’s a bit like Russian Roulette when grabbing them. Either way I’m happy. At their sourest, they remind me a bit of those mega-sour bubble gum balls of the 90’s, called Eye Poppers, which make your face twitch all over when licking them. They are somewhat inedible, but I keep going back for another taste. 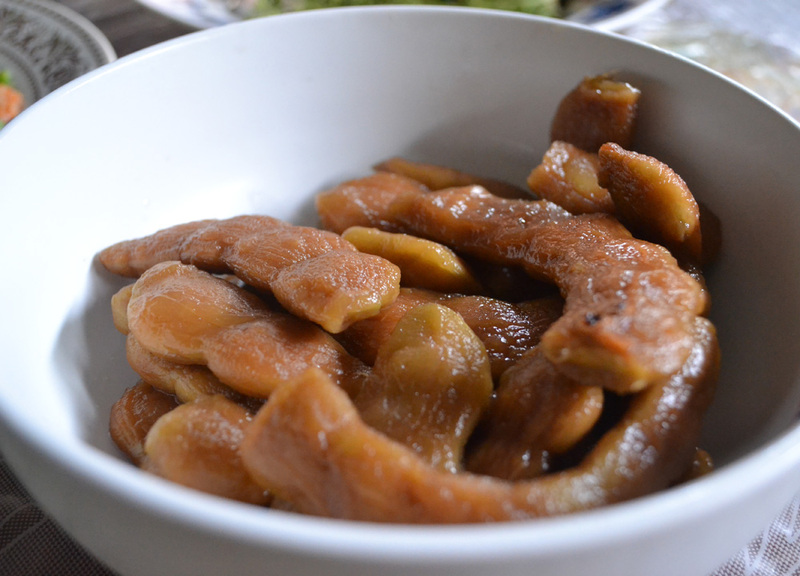 But there is more to this versatile fruit where grannies here are obsessed with adapting them to create all-sorts of tamarind candies and sweets, and some are truly delicious. Similar can be found in the lesser visited sweet sections of Thailand’s 7-11’s, only they aren’t in the same league as treats from the rural grannies. Longkong is a commonly confused fruit, so I’m adding it here to hopefully deconfuse it (or possibly confuse it more). When you ask what a longkong is, more than not, people will think you mean longan. This is because longans and longkongs are not only similar in name, but also in appearance. This is annoying. In Thailand, however, it is easier to differentiate between the two where longans aren’t actually known as longans, but instead as lamyai. No more confusion. 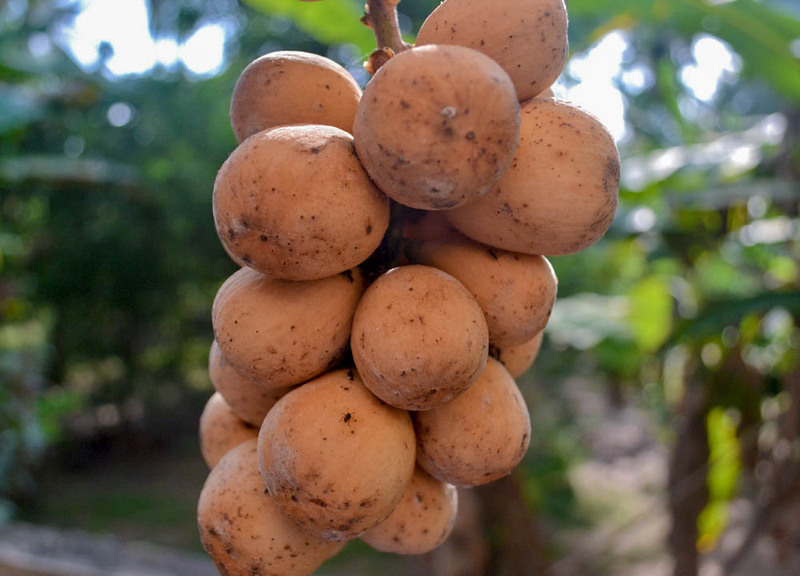 Away from first appearance, and name, there are few other similarities between the two fruits, where the longan / lamyai has a smooth, white flesh, surrounding a large black stone. This is very different to the longkong, which is a white segmented fruit, a bit garlic-like in shape, and has a handful of small pips inside. 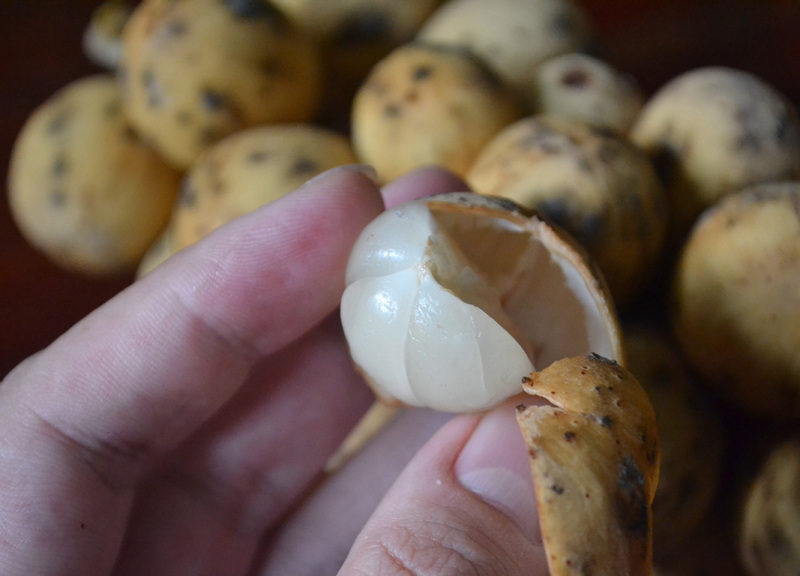 Longan / lamyai would be similar to sweeter fruits like lychee and rambutan (the testicular fruit), while the longkong has more of a sour, tangy sweetness to its flavour. Again, I’m not very good at picking out fruit flavours, so I’m probably way off. Anyway, the other reason for adding longkong is that they’re totally delicious and, quite possibly, they’re my favourite of Thai fruits (sorry mangosteen). It’s also longkong season right now so I’m filling my face with them, while typing this post. They’re making my fingers really sticky, like glue. Oh, and longkong are known as langsat in other parts of the world.